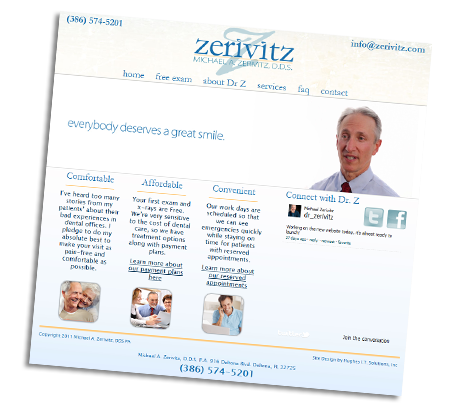 DR MICHAEL A. ZERIVITZ, DDS. 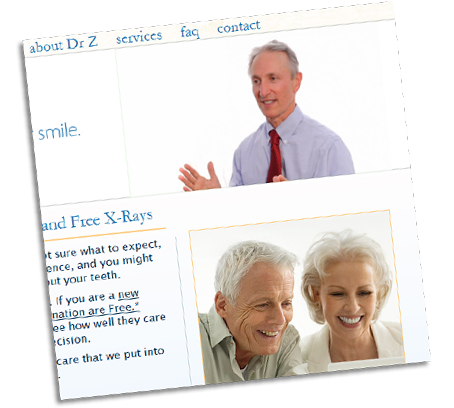 Dr Zerivitz had some very specific goals and design ideas in mind when he came to us in March of 2011. He wanted a website that was visually appealing, had a modern look, and integrated video and social media. Most important however, was the SEO campaign. This service was vital to the site because without visitors, all of our hard work would be for nothing. We started by doing keyword research, and looked at the competition in the area. We used a unique set of tools to analyze some of his competitors and determine what they were doing to rank higher, what mistakes they had made, and what we could take advantage of to beat them to #1.